As children grow, they tend to turn away from parents and toward friends. If you start talking early on, it is easier to maintain rapport as they grow into adolescents and young adults. 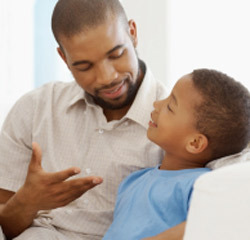 Taking the time to have a quality conversation each day fosters a close emotional bond between you and your child that can endure as they grow and develop.